Attempt, if you will, a thought experiment. Try to imagine the 25th anniversary think piece on “Independence Day: Resurgence.” Or if that doesn’t work, try to picture the 30th anniversary oral history of the making of “X-Men: Apocalypse.” If either of those suggestions made you burst out laughing, it’s only to be expected. In a multiple-year slump of diminishing returns, this summer’s crop of blockbusters included some of the most exhausted, sound-and-fury-signifying-nothing films yet. You only have to look at other media that captured audiences’ imaginations to see how much Hollywood has abdicated its throne as the provider of collective dreams. 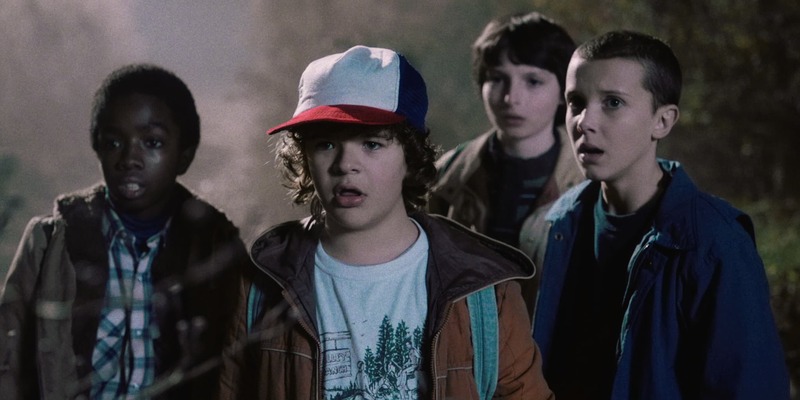 Netflix’s “Stranger Things” is a love letter to genre movies of the ‘70s and ‘80s, the kind of blockbusters like “E.T.” that you saw and you left immediately wanting to make movies and act them out in your backyard. Or look at the biggest entertainment success story of the summer, the video game “Pokemon Go.” It’s easy to sneer at adults playing the game, but more interesting to understand why they do. “Pokemon Go” turns the real world into a scavenger hunt; the player is charged with finding fantastical creatures that might be hiding around the corner or underneath a tree in a park. There were very few Hollywood movies this summer with this kind of imagination building and sense of play. Instead too many of them offered only howling towers of Armageddon, where humans could do little more than cower in front of them, numb with horror and helplessness. If they were lucky, the chosen few might swoop in to save them, but not before some chin stroking ruminations on why the whole thing was worth it in the first place. There is no place anymore for scenes like in Sam Raimi’s “Spider-Man 2,” where Peter Parker (Tobey Maguire), after saving a train car full of passengers, is in turn saved by them when the strain proves too much. It’s a kind, humane scene in a blockbuster that understands that warm colors and letting shots breath does not have to mean forgoing thrilling action or large-scale adventure. “Spider-Man 2” is only 12 years old, but at this point it feels more like 30. Part of Hollywood’s current decay was unavoidable. As a monoculture splintered permanently into niche groups, the idea of a film everybody sees and everybody can’t stop talking about fades further into the cultural past. The rise of cable networks willing to spend serious money on shows like “Game of Thrones” further dents Hollywood's ability to be the main supplier of big stories. But changing trends only excuse so far. Hollywood did itself no favors by making the mid-budget film virtually extinct, requiring themselves to lean on a business model where a single film must hit a billion dollars to be considered a success. If audiences can’t get enough of shows like “Stranger Things” or “Outlander” you are not going to win them back with offerings like “The Legend of Tarzan” or “Ghostbusters." And when an old master of blockbusters like Steven Spielberg makes a magical, heartfelt film like “The BFG” that’s greeted with an indifferent shrug it creates even less incentive to try. The lack of a new Spielberg or John Carpenter is sorely felt this summer too. Paul Feig seems to be a nice person who admirably defended his cast from vile sexist pushback, but he cannot direct an action scene to save his life, as seen in the third act of “Ghostbusters.” But really, blockbusters aren’t directed so much as they are stage-managed now. The continued shut-out of women and POC directors almost becomes understandable when you see that studios are not looking for directors, they’re looking for someone who will meet a release date that’s been picked out months or years in advance. It does not matter what they deliver on the deadline, they’ll dump it in the editing room and sort it out into something almost watchable. The idea that scripts need multiple drafts or that projects might need to germinate for a year or two is as foreign now as silent movies. And it matters more than it might seem that Hollywood has lost its nerve and touch in making blockbusters. Pop culture is how a society of diverse people talk to each to other—finding common idioms no matter the person’s background or community to connect. And it matters that the stories Hollywood seems most interested in are stories of apocalypse, of heroes who are tired of the weak mortals who constantly need saving, with an interest in women only so far as they can prop up lucrative intellectual property. We are facing an election cycle where one of the loudest voices is encouraging us to give in to our worst instincts, to be as greedy and selfish and unkind as we can. We need a Superman who smiles and talks suicidal jumpers off the ledge. We need stories about women and POC who are more than prizes, victims and sidekicks. We need to be reminded of the acts of heroism of which we’re capable. The best thing you can say about this summer’s roster of blockbusters is how forgettable they are. At the very least, their ugliness—in both their aesthetics and storytelling—can’t do that much damage. Once the credits start rolling, most of these films dissolve from the mind like cotton candy in water. Which brings us back to “Stranger Things.” The show trades on those moments you never forgot; the frisson that makes you exclaim, “Hey, I remember that shot from 'The Thing! '” But what makes “Stranger Things” more than pastiche is that it has remembered what made those moments click. That they were part of a well-told story, with fleshed out characters. That even if the movie was a sequel it was concerned not with brand extension but taking characters you cared about on a new adventure. And like “Close Encounters of the Third Kind” and “Star Trek II: The Wrath of Khan,” “Stranger Things” remembers to be in love with its actors’ faces; to step back and observe the rhythms of blue collar life in the small town where it’s set; to have the moment when a grieving mother and her older son look through his photos for one of her missing sons. She smiles and compliments her oldest son's photography skills and he blushes and then crumples into sorrow over his brother. These kinds of moments are vanishing from blockbusters, and for no good reason. If nothing else, “Stranger Things” reveals the harsh truth that Hollywood gave up on audiences long before they decided to return the favor.